Boost your productivity with the easiest way to print from your smartphone or tablet. Simplify your tasks while saving time and money with this HP Instant Ink All-in-One with fax capability. The device can be set up almost anywhere and works quietly in the background. Save up on costs without sacrificing quality – save up to 70% on ink costs with HP Instant Ink and avoid ink bottlenecks. Original HP inks. Ordered from your printer, delivered directly to your home. High quality results on every printout. Gain more time for the important things. Easily manage print jobs on the device via the intuitive display. Copy, scan and fax multipage documents on a versatile device. Manage and complete your tasks in less time with the easy-to-use 5.5 cm (2.2 “) display. No more waiting time – thanks to the simple setup, you can print immediately. Automatic connection to your wireless network. Complete your tasks with effortless printing from your smartphone or tablet. The setup takes place in no time and you can print on the go and send scans by e-mail. The connection between your smartphone, tablet or PC and your all-in-one is lightning fast and you can start printing right away. 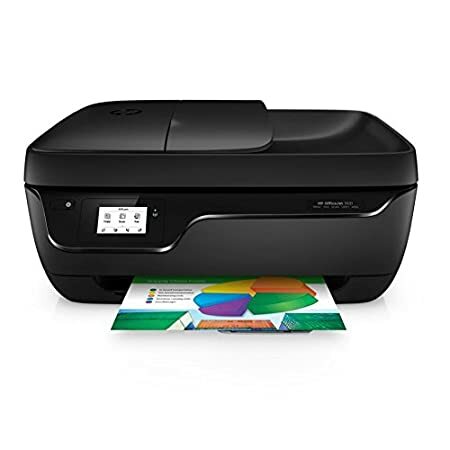 Connect your smartphone or tablet directly to the printer – and easily print without access to a network. Manage print jobs and scan on the go with the free HP Mobile All-in-One Printer Remote App. Simply print through a variety of smartphones and tablets. The pages are perfectly printed – even when you are not there. Install this space-saving all-in-one anywhere. Its design allows quiet operation in the background, so you can print, scan and copy almost anywhere. Save space with a compact all-in-one that can be placed on your desk, shelf or elsewhere. Print in any room – without interruptions. Thanks to the optional whisper mode, the noise level is kept to a minimum.